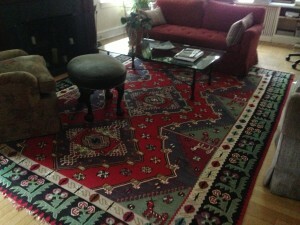 5 questions you should ask a Professional Rug Cleaning Company in New York before hiring them! Let’s face it. Finding professional services to do work around your home can be stressful. With so many unscrupulous companies out there, choosing the best company to do business with can be a fruitful task for the uneducated consumer. When cleaning area rugs we understand that sometimes the rug that needs cleaning can hold a significant sentimental or monetary value to the customer and that is why we take extra care to ensure that your rugs are treated as if they are our own. To help make the decision making process for choosing a rug cleaner in we have created this list of 5 questions to ask any company when you are looking to hire them for your home. A reputable company will be fully licensed, bonded and insured for any event of loss. Bringing a stranger into your home can be much less burdensome when you know that you are protected. Accidents happen, this is part of life. You want to know that in the event of any accidents that your personal belongings are fully protected. Many companies in this industry are known to sub-contract their work to other rug cleaning facilities. You want to make sure that your rug is being cleaned by the company you called. By subbing the work out, companies must charge higher prices and also the rug will take much longer to get done. You want to make sure that your rug cleaning company is providing your rug with all the care and attention it needs. With so many fly by night companies, this is a very important question to ask. A company that has been in business for 5 years or more will have a reputation. Look them up online and read the reviews that people are saying about them. You can also contact the BBB to see if any complaints have ever been made. What type of cleaning method do you use? Asking the companies representative how they clean your rugs is a great question because it will give the company an opportunity to build trust with you. You want to know exactly what you are paying for when you send your rugs out for cleaning. A company that cannot give you detailed information on the cleaning process is one we would recommend you stay away from. Also ask what type of products they use. With so many harsh and toxic chemicals out there, you want to make sure you keep your home free from as many chemicals as possible. Most rug cleaning chemicals are highly toxic and carry a number of carcinogens. You want to choose a company that will provide all of their MSDS sheets for the products they use during the cleaning process. Ask if they use organic products during the cleaning process. Do you provide free in home inspections? A reputable company will provide a free inspection on the work with no obligations. A company that provides pricing over the phone can sometimes be an indication of bait and switch. Many companies will lure you in with a low price over the phone just so that they can get their foot in the door and demand a high price once they are in your home. If they do quote you a price over the phone, always ask if there will be any additional charges. We hope that this list will help you make the right choice when you are looking for a professional organic rug cleaning nyc company to work with. Always remember that as the consumer, the power is in your hands, always! Pure Green Kililm Rug Cleaning and Repair in New York.